3/11/15 Update: The Ghostbusters board game funded successfully with over a million dollars raised! The developers will be adding several stretch goals to the game now and wanted to thank everyone from GiN who helped to support the game’s development. The streams have been crossed and the Keymaster and the Gatekeeper have come together! Cryptozoic Entertainment, creators of board and collectible card games, is bringing the world’s most highly respected group of paranormal investigators/exterminators to the table top with Ghostbusters™: The Board Game. The Kickstarter begins today and runs through March 11. The game will begin shipping to backers across North America, the UK and all EU member countries, Australia and New Zealand in October 2015. 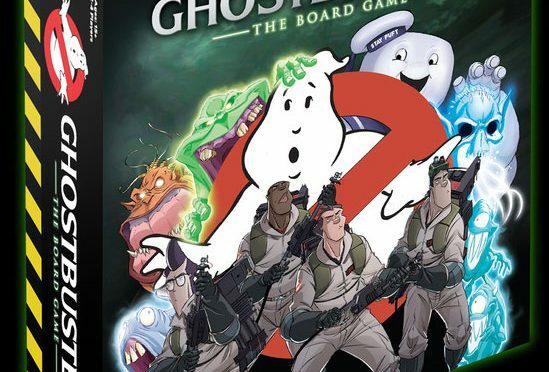 Ghostbusters™: The Board Game is a game for 1-4 players, ages 15 and up. 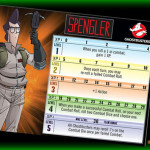 Players choose one of the four Ghostbusters character figures (Peter Venkman, Egon Spengler, Winston Zeddemore and Ray Stantz) and then select from one of the game’s pre-written scenarios, beginning a game session that lasts from 30 minutes to 2 hours, depending on the chosen scenario(s) and degree of difficulty. 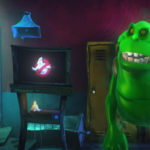 Each of the Ghostbusters has unique traits and talents that can assist the entire team, with highly cooperative gameplay. As players gain experience from banishing spirits, the Ghostbusters level up, gaining new abilities that help them take on greater challenges. The team can also hop in the Ecto-1, the Ghostbusters’ converted ambulance, to help them quickly move through the city. Ghostbusters™: The Board Game comes with plastic figures of the four Ghostbusters as well as Slimer, Stay Puft Marshmallow Man, Indulnas and numerous Galloping Ghouls, Gruesome Twosomes and Boogaloo. All figurines are based on the artwork and designs of Dan Schoening, the artist of IDW’s Ghostbusters™ comic book. 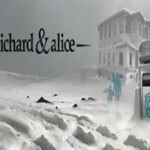 The game will come with over 40 figures, with the opportunity to purchase add-ons and exclusive figures. The board itself is made of double-sided modular pieces illustrated by Robb Mommaerts, increasing the replayability for scenarios and customization. Cryptozoic will be offering a few options for backers. 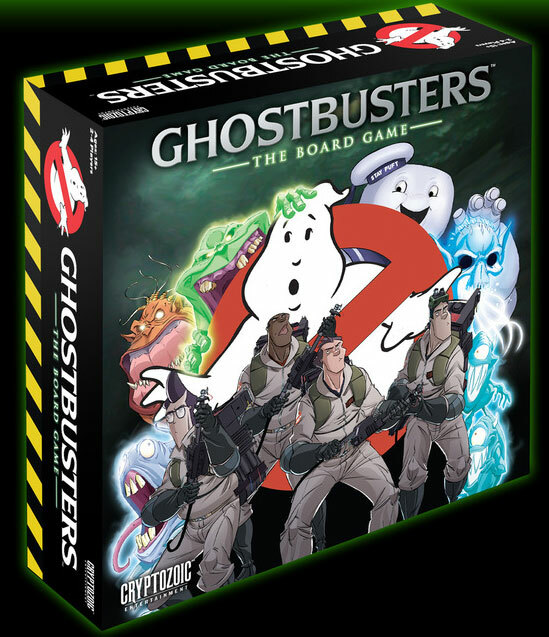 The base version of Ghostbusters™: The Board Game is available for $80 and includes four Ghostbusters figures, 40 ghost figures, 10 double-sided game board map tiles, instructions and scenarios with art from Dan Schoening, various tokens, cards and dice. The exclusive $125 Deluxe Edition comes with everything from the base game, along with a limited edition foil-stamped box, a 12”x12” giclée print, glow-in-the-dark dice, four additional game board tiles, an exclusive boss ghost figure and an over-sized “Impossible Mode” Stay Puft Marshmallow Man figure. 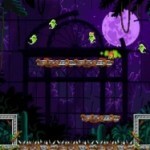 Additional pledge levels add exclusive ghosts, new figures and much more to expand the game further.